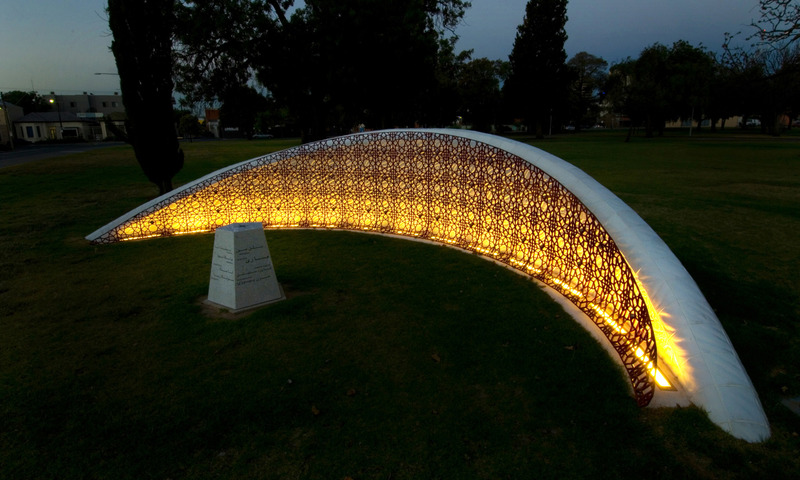 Voyagers is a public artwork that symbolically conveys the Afghan migrant story through references to the Australian landscape, traditional Afghan/Islamic art and photographic image. Its physical form is derived from the arid and mountainous landscapes of Afghanistan and the sandy deserts of Australia’s inland. It features a traditional Islamic use of geometric tiles and screens.